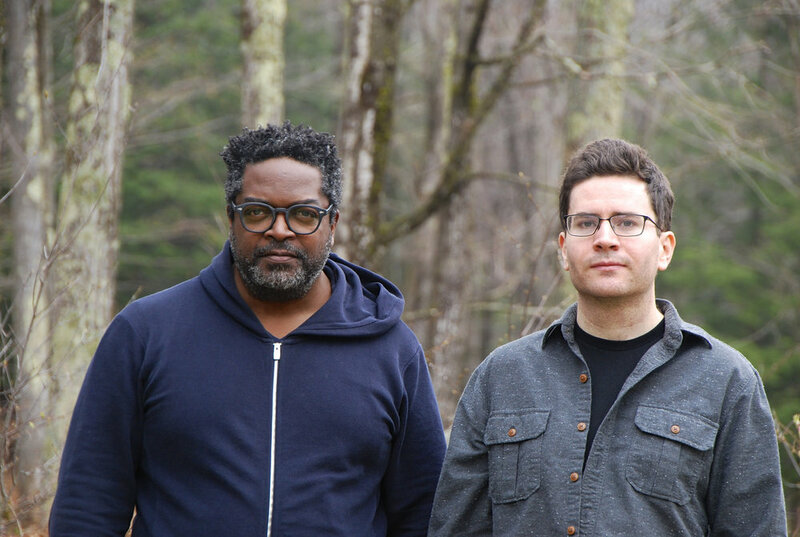 SUBTLE DEGREES is a new two-musician ensemble consisting of Travis Laplante (tenor saxophone) and Gerald Cleaver (drums). The duo's uncategorizable sound evokes everything from contemporary classical music, avant garde jazz, minimalism, technical metal, and sacred world music. Laplante is also the founder/composer of saxophone quartet Battle Trance and the ensemble Little Women. Travis Laplante is a saxophonist, composer, and qigong practitioner living in Brooklyn, New York and southern Vermont. He leads Battle Trance, the acclaimed tenor saxophone quartet; he is also known for his solo saxophone work and his longstanding ensemble Little Women. Laplante has recently performed and/or recorded with Trevor Dunn, Ches Smith, Peter Evans, So Percussion, Gerald Cleaver, Michael Formanek, Buke and Gase, Darius Jones, Mat Maneri, and Matt Mitchell, among others. He has toured his music extensively and has appeared at major international festivals such as Moers Festival (Germany), Jazz Em Agosto (Portugal), International Jazz Festival Saalfelden (Austria), Hopscotch (Raleigh, NC), Earshot (Seattle, WA), and many others. Popmatters hailed Laplante's compositions as "an achievement not just for the saxophone, but for avant garde composition as a whole" while the New York Times called Battle Trance's debut album Palace of Wind "mesmerizing... a floating tapestry of fascinating textures made up of tiny musical motifs, and a music that throbs with tension between stillness and agitation, density and light." Laplante has served as guest faculty at the Royal Academy of Music (Aarhus, Denmark), Dartmouth College, and The New School. As a qigong student of master Robert Peng, Laplante has undergone traditional intensive training. His focus in recent years, under the tutelage of Laura Stelmok, has been on Taoist alchemical medicine and the cultivation of the heart. Laplante is passionate about the intersection of music and medicine. He and his wife are the founders of Sword Hands, a qigong and acupuncture healing practice based in Brooklyn, New York and Putney, Vermont. Cleaver is known for his associations with Roscoe Mitchell, Charles Gayle, Miroslav Vitous, Mario Pavone, William Parker, Michael Formanek, Joe Morris, Jeremy Pelt, Craig Taborn and Yaron Herman. He is also the leader of the bands Uncle June (a reflection on the personal and familial challenges of Black Americans during The Great Migration featuring Tony Malaby, Andrew Bishop, Mat Maneri, Craig Taborn and Drew Gress), Violet Hour (a tribute to Detroit featuring Jeremy Pelt, JD Allen, Andrew Bishop, Ben Waltzer and Chris Lightcap), Black Host (a noisy avant-garde group featuring Pascal Niggenkemper, Cooper-Moore, Darius Jones and Brandon Seabrook) and Farmers By Nature (a free-improvising collective co-led with bassist William Parker and pianist Craig Taborn).